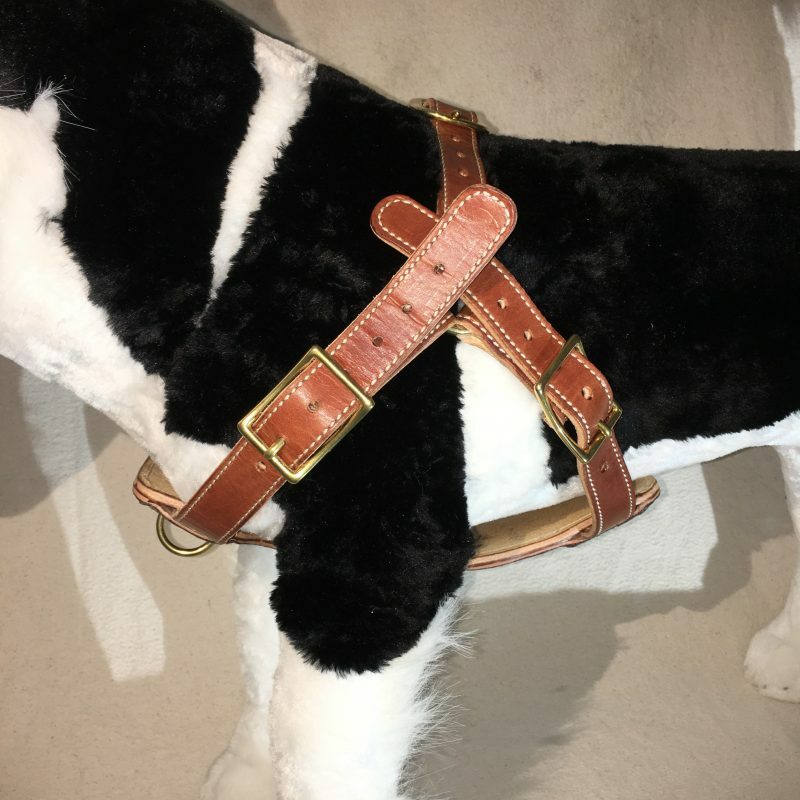 Our Pet Harness is built using English Bridle & Harness leather from Wickett & Craig tannery. 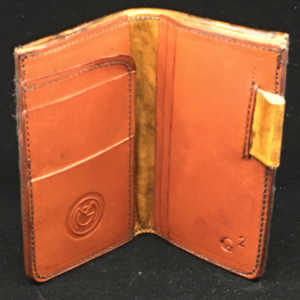 The leather is dyed in the tanning process and stuffed with oils and waxes to last for a long time while still remaining flexible and beautiful. The color choices are Black, Buck Brown, and, Chestnut. 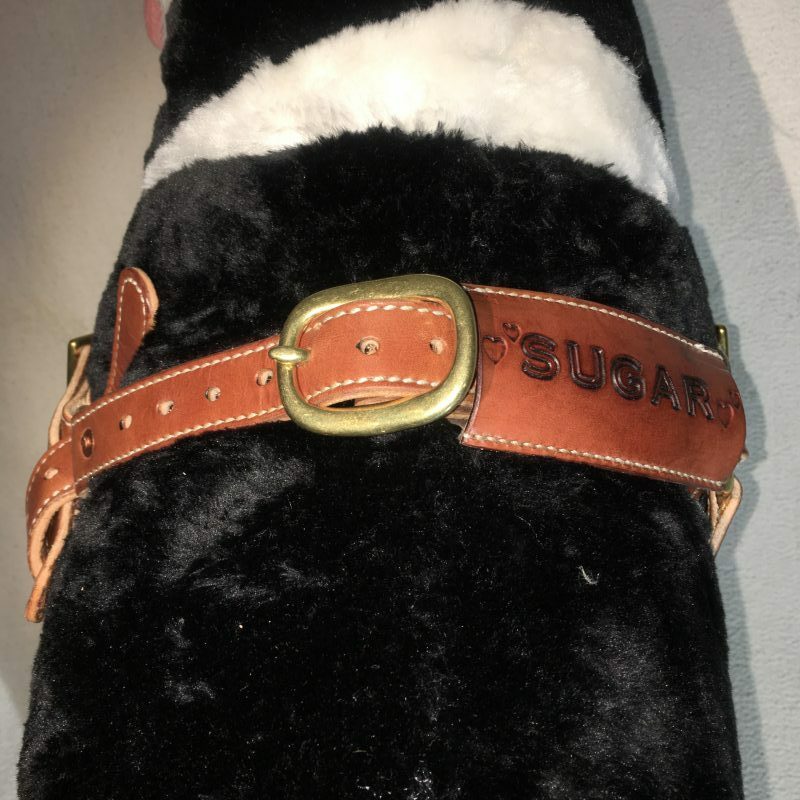 Hardware includes the buckles and rings for the leash attachment. Your choice of brass or stainless steel. The chest plate is 6.5″ for small, 8″ for medium, and 9″ for large. 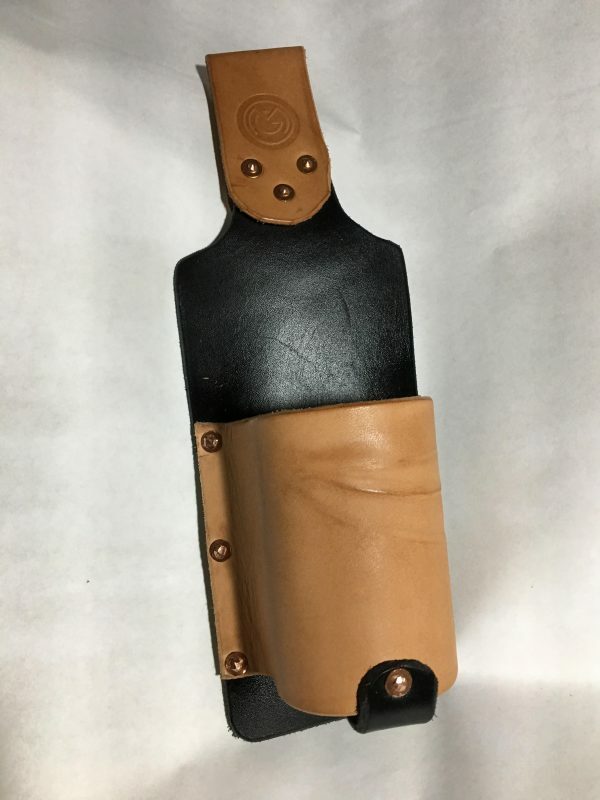 The small size will comprise of the chest piece and two straps. 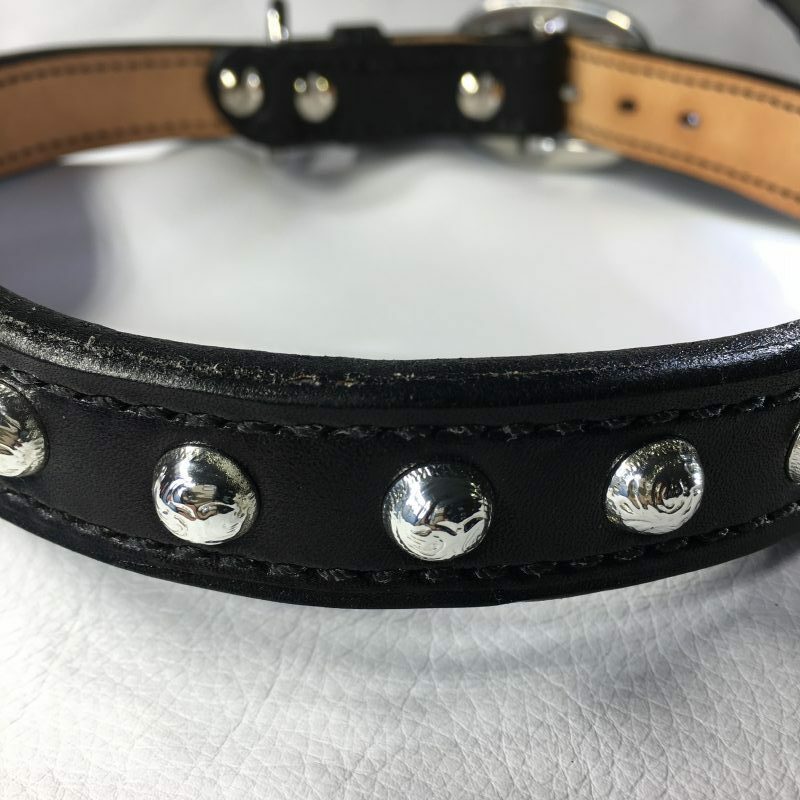 The straps will be joined by a short connector piece on the dog’s back where the leash will attach. 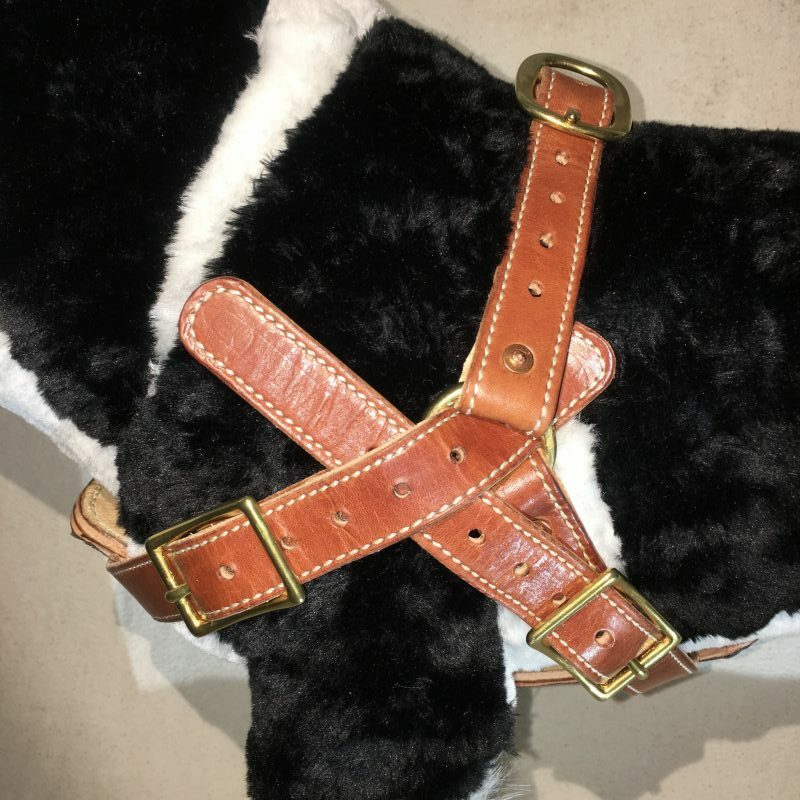 The medium and large will each have the two main straps coming from the chest piece connected by rings and then a separate strap across the back. Strap Width is Small – 5/8″, Medium – 3/4″, or Large – 1″. 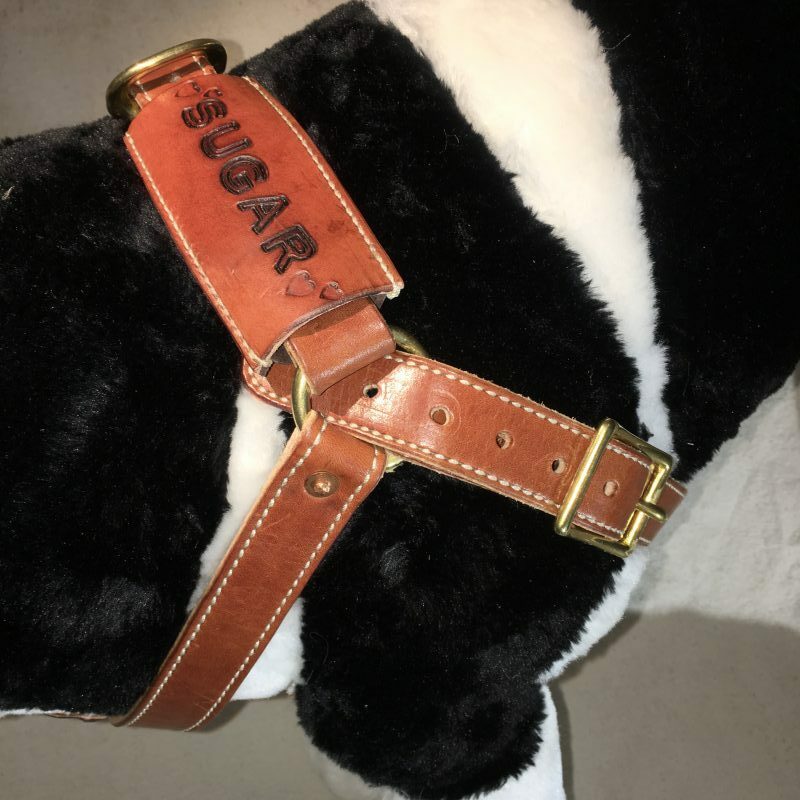 Choose to have the leash connection at the dog’s back or on the chest piece. Choose the thread color to either match or contrast with the main leather color. Personalization can be added for $10 which includes Stamping or Text. Please fill out the Personalization text if you choose to have this option. 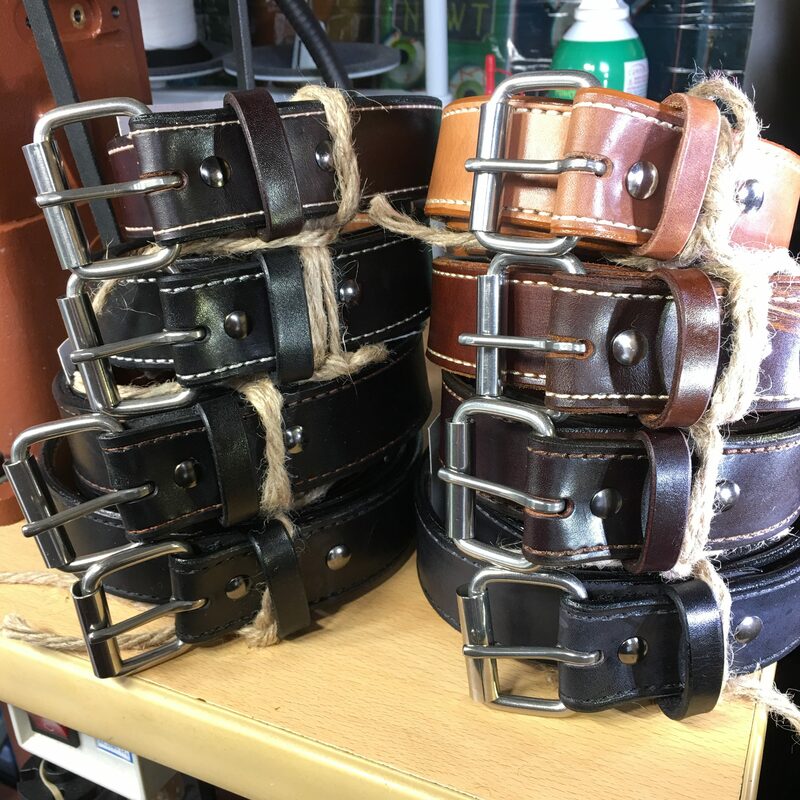 The edges of the straps are rounded and burnished as a standard practice. Edge color can be added as well.